When Did Home Security Really Become Popular? Protecting ones home and its contents has been something that has been around for a very long time. Mind you the methods used were somewhat crude but seemed to work for the era they were used in. The question is when did the home security really become popular the way we know it today? Aside from protecting your land and home with a shotgun home security evolved over the years to something far more sophisticated. Even at its beginning of modern technology there was some simplicity to it. Good locks like deadbolts on the doors and sound locking windows were considered to be the most positive security measures. These still didnt provide much comfort for those who were away from home and were concerned about thieves that were aware of this. Since the use of smart home security and the electronics that are used for security measures today it seems that nobody has to worry about how secure their home is, even if they are out of the country. Basic security systems have been around for a very long time. In fact they were really becoming recognized following World War l. So many people started to rely on these systems and the results in the reduction of crime concerning home theft and breakins was being noted. Some insurance companies started rewarding home owners who were utilizing this type of security. They would do this by offering them lower premiums. This spurred even more people to take advantage of them wanting to get the good deals on their insurance. Again though the problem of not being home and worrying about home security still existed. The temporary solution during that time was to utilize door shakers. There were men who were paid to go around to vacant homes and check to see if the doors were locked. Following this a crude monitoring system can into existence which was really a step forward towards the security measures of today. This is definitely a strong indicator of the important needs that security systems of today meet. Fortunately with there being so many choices almost anyone can find the perfect home security system to meet their needs. They can then expand upon this with add ons if they feel they have a need to. Plus, there is security that fits into every budget. While there are a lot of opportunities to buy all kinds of security items off the shelf of some of the local stores, the best approach to home and business security needs is to place this in the hands of the professionals like those at Pre-Lock. These are the experts who can identify your exact security needs. What are Your Home Security Necessities? We could talk about home security options but really most of what we are going to cover here are home security necessities. Some will depend on your lifestyle and where you live, while others are really something everyone should have to enhance their security. This is one of the priorities and it would be fair to say that any homeowner should have at least a basic home alarm system installed. What can be options is the choices that comes with these systems. For example you can go with wired or wireless and just the basics. The basics would be protecting your home from break-ins. The add ons could be adding on conveniences of being able to use your device to monitor what is going on at home. Or using a monitoring center to oversee your security. These are just a few of the additional options. Again really a must have and in fact depending on where you live you may be compelled by law to have a fire alert system installed. Aside from that these are life savers. While a lot of people will purchase a fire detector from their local store they often forget about the other aspects of fire. The detectors are critically important and will certainly serve their purpose when you are at home to respond to them. What you need to consider is who will respond if you are not there or if you have pets in the home that need rescuing. This is where home monitoring serves another important purpose. Often what you cant see can be extremely dangerous. This includes substances that can cause carbon monoxide poisoning, natural gas fumes or radon gas. You need to weigh out the importance of the protective measures that you can take against these. In some areas, you are now compelled to have a carbon monoxide detector installed. If you live in an area that is prone to flooding then you may want to consider some alert systems for this. Even those that now live in some of the Toronto areas have to be concerned about this. You can utilize a sump pump that has an alarm system attached to it to ensure that it’s doing its job. These are some of the major concerns and really the basics when it comes to the average home security needs. Aside from this, there are many other important security products that you may want to consider depending on your specific wants and needs. You may feel that you want to have some security cameras installed. Or you may have a need for more external security lighting. Then you may have a disabled individual or a senior living with you where a life alert system would be beneficial. There is a lot to think about when it comes to your security. It can be easy to overlook some important elements of it. 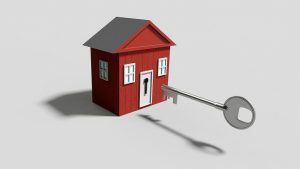 To avoid all the confusion that comes with protecting your home and family why not give the experts at Pre-Lock a call. 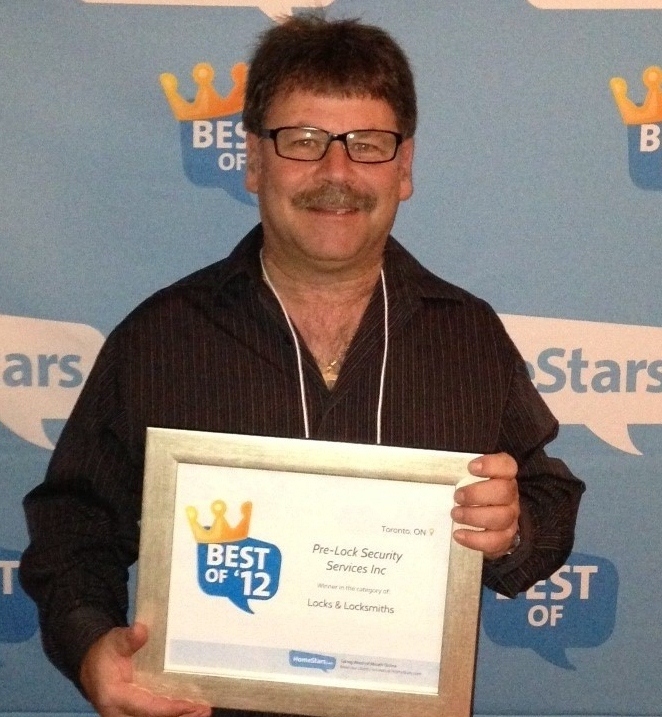 Paul Seidman is the owner of this very well known and reputable security and Toronto Locksmith Company. 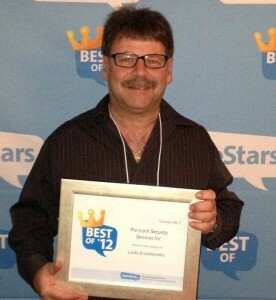 He is the go to person for many people both for home and business security needs. His team of expert security consultants can develop a security plan for you that is going to be highly effective, affordable and strictly based on what your specific requirements are. One of the first priorities once you have settled into your new home, is to determine what security you need to protect it. Chances are if there was a previous owner there may be a security system in place or at least some security measures that have been implemented. You need to design your own security protection that suits your specific needs. It may be the previous owners were not concerned about security and took no extra measures for protection. 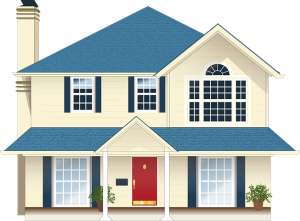 As soon as possible you want to do an assessment of your home and determine what you want to utilize for the safety of you, your family and your assets. You want to check around the perimeter of the home and determine what the weaknesses are in regards to your security and where the home may be vulnerable. This includes checking the windows and doors. Make sure that these are in clear view and not obstructed with tree and shrubs. These would provide protection for a “would be” thief that may try to break into your home. Check each of the windows and doors to determine that their locking mechanisms are in good condition. You may want to change the locks on your doors even if they are good ones. You really dont know how many keys are floating around out there that the previous owner may have issued and forgotten about. Window locking mechanisms tend to get broken and neglected in regards to replacing them. These are first step security measures that you can take right away and will immediately scale up your security. Check your window wells to see if there are windows big enough that a person could fit through. If so, an easy solution for this is some window guards that look attractive but will stop intruders. Your exterior lighting is important as well. Make sure that the entrance ways and your front and back yard have good lighting that you can access. You may want to incorporate the operation of these lights through your security system or at the very least put them on timers. You have a lot of options when it comes to your main security system. You can look at a do it yourself set up or a better choice is to bring in the experts from Pre-Lock. These professionals will do a full assessment of your security needs and make recommendations based on this. They can provide you with a security system that suits your needs and will not try to upsell you on unnecessary security items. The big difference with dealing with a Company like this is that not all security is the same and you are going to get personalized service. It is commonly accepted that most seniors need to have some extra home security protection in place. There are additional hazards that they face. 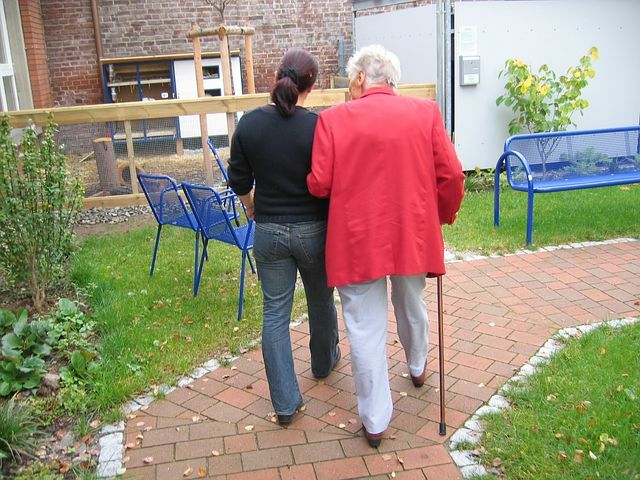 Some of the older adults are more trusting when it comes to answering the door. Or, they tend not to keep their doors locked because they feel safe in their environment. Then there is personal safety concerns from accidents and mishaps that have to be considered. There are some seniors that suffer with medical conditions such as Alzheimer’s that really need to have extra home security protection in place. 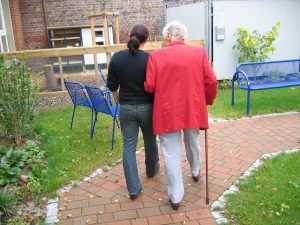 Depending on what stage the individual is at with their Alzheimer’s this will dictate the increased security that is needed. If they are still functioning on their own then they will need constant reminders concerning their safety measures. Some of the steps you can take are making sure that they are able to access all of their emergency numbers. This should include family and friends that can respond immediately. Leaving these contact numbers clearly posted near the phone will help. Another thing you can do is leave a key with a trusted neighbor. This way if any emergency responder or contact person needs to gain entry they can do so. Ideally having a medic alert that the individual can use in the case of an emergency is often something they can remember to use in case of need. As this disease progresses it usually means that someone has to be there to take care of the individual. This is a difficult time for family members in having to choose someone they can trust. It is similar to choosing a babysitter and the concerns are many. Webcams can be used to help monitor the care they are giving. With todays modern technology and being able to use smart phone security it allows even greater monitoring and protection to be put in place for the person suffering with this debilitating disease. There are many other safety measures that can be taken around the home to protect the individual. Ideally, the first and best step to take is to talk to the professionals at Pre-Lock to get their advice about your particular security circumstance. These are professionals that can do a quick analysis and suggest additional security measures that may be of great assistance to you. Can Dummy Security Products Enhance Your System? There are no shortage of products on the market today designed to fool would be thieves and criminals into fully believing that your home is protected by a security device when in fact it may not be. There are tons of fake cameras on the market that you simply set up to make it look like you have a camera protecting your home when in fact it is a fugazi or a fake. The appeal of these items is that they are considerably cheaper than the real thing. There are also signs that you can purchase that tell people you have a top of the line security system in place when you may well have nothing there at all. All of these are designed to make a criminal think twice before attempting a break in at your home or business. The flaw is that many intelligent criminals ALSO know of these half measures and have ways of being able to tell that you are in fact unprotected and this may well be the impetus that they need to target your house rather than the neighbors. One way to effectively utilize these products is to use them to enhance your system rather than replace it. Here is what we mean. Say you have a new security system put in to protect your home and family but can only afford to put cameras at select locations that do not cover the entire house. You CAN put in fake cameras at other strategic locations in order to minimize the areas that have no camera at all essentially making the criminal think that there are more working cameras then there really are. You are still fully protected by the working alarm system and the working cameras but have an added layer of psychological protection as well. Many department stores and business use this subterfuge, in order to make people think they are under more surveillance than the store can really provide but it still acts as deterrence to many who would otherwise take the chance and try something shifty. There is simply no substitution for a well-made and monitored security system for protecting your home and family or your business. But by adding some subterfuge if you are on a strict budget, you can add another layer that may serve you well in the long run. To discuss this or any other security related matter be sure to call us here at Pre-Lock Security Services for expert advice on all things security. 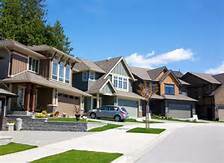 It is just as important to be alert about your home security when you are on the premises . Thieves have become more brazen and knowledgeable about performing break-ins even when someone is in the house. Ironically many people will tend to lock their doors and windows at night but don’t follow the same practice during the daylight hours. Yet, some brash thieves will look for the golden opportunity to go about their work even during this time. A good example of this is when the warm weather hits. Lots of people are out in their backyards doing a clean up, or maybe having that first barbecue of the year. The front door or windows are left open thinking that nobody would enter with people being around. Thieves are particularly good at getting in and out of home faster than what many would believe. The proper protection would be to make sure the front of the home is locked when everyone is going to be in the back. When the warm weather first begins everyone wants to open their doors and windows. The nights are warmer and it is most enjoyable to be able to sleep with the windows open. It is also the same time when people forget about their security and don’t take the proper safety precautions. Aside from the standard security systems that are great for the protection they offer, there are so many additional security products that can be taken advantage of to really enhance the security. A prime example of this is the Doorjammer offered by Pre-Lock. 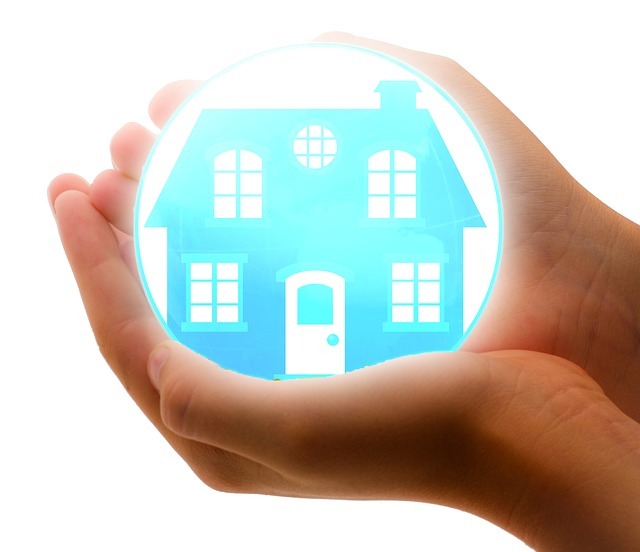 One of the best ways of really making sure that you have the best security measures in place that are possible is to either do a self home assessment to determine if there are any areas that you feel vulnerable. Or, speak to the security specialists at Pre-Lock and have them do a security assessment for you. Then you will know for sure what needs to be beefed up for your home security needs. 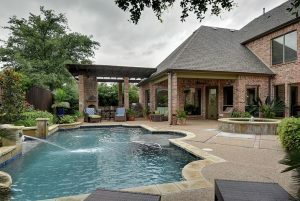 If you are like millions of people across the globe, who enjoy taking a cool dip in the local pool once in awhile, or even in your own, if you are lucky enough to afford one, there are many precautions you should take and a number of rules that must be established before anyone even enters the water. Now obviously if it is a local community pool, the staff should be responsible for making sure everyone adheres to the rules that must be enforced to ensure everyone’s safety at all times. When kids are in the pool, it is always advisable that there is an adult close by at all times to keep an eye on what is going on in the water. Accidents can happen very quickly, and even experienced swimmers can run into difficulties that may impede their swimming abilities. A severe cramp, for example, can happen to anybody, at anytime, and this can turn into a really dangerous situation if it is not dealt with immediately. If there are young kids, and especially infants in the water, then there should be a capable adult in the water within arms length to them at all times. It is sadly estimated that over 200 young children alone suffer an accident in a pool or hot tub that resulted in their tragic deaths every year, and this is why the American Red Cross has put together some guidelines that may help in making your swim spa environment safe for all those that want to enter the water. You always want to make sure that there is adequate barriers around the pool or hot tub, so there is no chance someone could accidentally fall into the water. This means the barriers should be around 4 feet or higher, and there should be a self-closing and self latching gate, so again there is no chance of someone getting into the area of the water by mistake. Always keep the pool or hot tub covered when not in use, and some individuals actually have installed an alarm that lets them know when anyone enters the water at any time, which is quite comforting to them. Learning how to swim is a necessity if people want to use a pool, and there are online sites through the Red Cross that can help you with teaching your children how to swim, as well as teaching them basic skills of first aid, such as CPR for example. These sites also provide you with a checklist of how you can work to prevent any type of tragedy around the water area. Rules like having all types of toys away from the pool when not in use, and if you are using a blow up pool, always make sure it is emptied after you are done using it. Obviously keep all electronic devices away from the water at all times, and this means any type of music device, like a ghetto blaster for example. Never allow people to dive if the water is not deep enough, and always enforce the rule of no running anywhere near the deck of the pool. Keep your water always at the proper PH level and make sure the water is kept clean at all times with the proper amount of chemicals, making sure never to overdo it, as this is just as bad as not doing it at all. If you have questions, there are many sites online, including the Red Cross that can help you out with all your needs when it comes to providing a safe and enjoyable swim spa experience for you and your entire family. Be sure to check out the Safety Turtle Pool Alarm that is available at Pre-Lock. Operating a business nowadays is not always an easy task, as there are many steps involved to be successful. Especially if you are thinking of opening a retail business of some type, you will have to consider everything ahead of time if you want to do well and keep a tight reign on how the business operates on a daily basis. With a retail business, you will have to remember you will most likely be dealing with a lot of cash, as well as credit and debit cards. The information that you have at your disposal can be worth a lot of money for unscrupulous individuals who specialize in identity theft. This type of crime is now one of the biggest ways that thieves are cashing in, as there are billions of dollars lost every year to this type of criminal enterprise. In addition to all the sensitive information you have, there is also the issue of how much cash you have on hand at any given time as well. The best way to avoid many situations of theft of cash is by doing a deposit every day or night. Unfortunately, depending on the type of business you operate, that is not always possible. As stated, the private information you have collected on your customers is very valuable, so you should invest in a computer system that has the most up to date security features, making it as least harder to break into, if at all. It may cost you a little more in the beginning, but you will be surely glad you made the decision as time goes on. 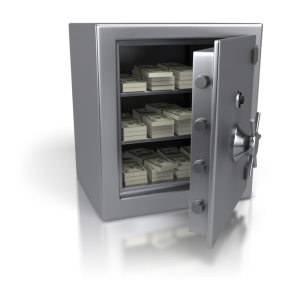 When it come to cash, if you are not able to make daily deposits, it is always a good investment to purchase a decent safe where all your valuable items can be stored. Again, just like your computer, you should make sure you don’t try and save a few dollars by purchasing a safe that perhaps is not the top of the line, or even close for that matter. Spend the few extra dollars and your money will be safe, and you will have peace of mind that all is protected. With that being said, having a good security system is a definite must for your protection if your run a retail business. In addition to cameras that can be monitored or not by a security staff, you should invest in an automated system that informs you when someone is trying to leave the store with something they have not paid for. A scanning system is truly not expensive any longer and can be a great deterrent to many would be shoplifters. Depending on what your retail business entails, such as whether you run a jewelry store or a Dollarama for example, will somewhat dictate whether you need any additional security people on the floor, and even whether they should be armed or not. Many businesses find that having one or two undercover security professionals also really cuts down on theft, especially when all the would be thieves tell their friends not to steal from your store. Having good locks for both front and back doors are also a necessity, and it is wise to have your security company help you out with what is best for your type of retail location. Hopefully these few tips can help you get started in setting up your retail store and making it secure and profitable at the same time. 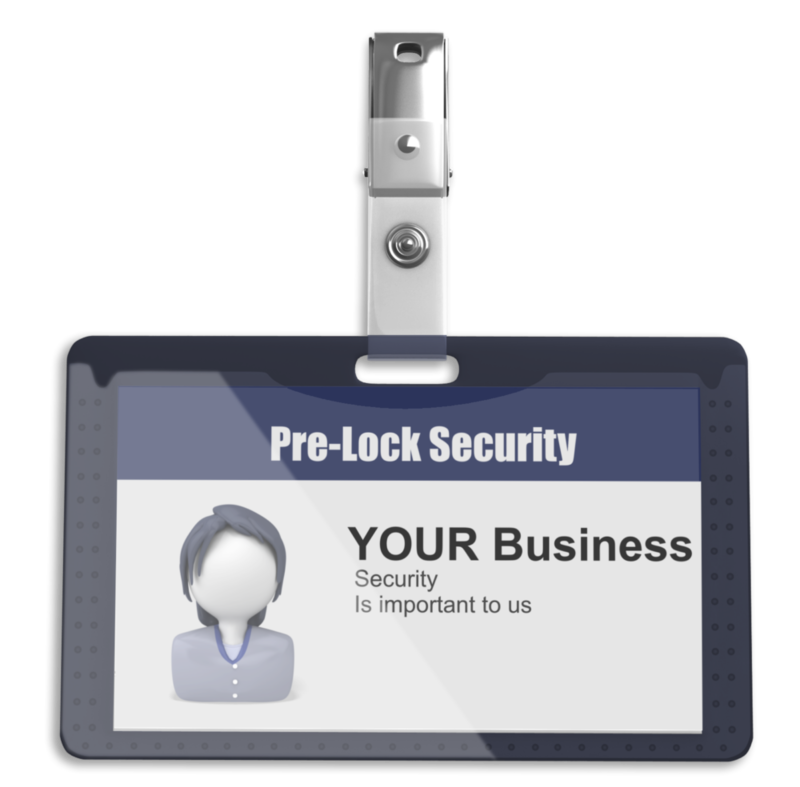 Be sure to contact us here at Pre-Lock for all your business security needs. The security industry had their wares on full display at the recent ISC show in Las Vegas and the products introduced there were the absolute latest in technological advancements and show the world exactly where the emphasis will be placed on security in coming years and for future generations. A very important theme that took center stage this year was the increased challenges in cyber security realm that may not have had the same importance in past years. The emphasis on preventing security cameras from being used as potential gateways to gain access to the full I.T system was used as part of the planning process for multiple demonstrations by the camera manufacturers to show exactly how serious they see the issue and the ways they are changing their products and software to combat this ever growing security concern. Both ComNet and Razberi introduced new products designed to fight this issue by both alerting the admin when a breach has occurred and simultaneously shutting down that port from a particular camera so that the bad actor cannot go any further and access anything from that port. Another very prominent component on display this year was the growing amount of biometric solutions to both business and residential security. One of the new products, and the winner of the SIA New Product Award was the BACS or Biometric Access Control System that uses a full five different cameras contained in a single orb-like device that instantly captures the images of the users fingerprints, palm print and iris without the need for touching the orb, you simply need to hover the hand over the orb for it to perform its functions. In addition to the access security that this will provide it also performs a secondary function by stopping the spread of potential contaminants or germs in wider public areas like hospitals and universities. This and other technological advancements on display show the entire world just how much emphasis and progress is being made on developing security systems that will further protect our business and our homes and families both now and in the future. If you want to talk about this or any other security issue or product be sure to contact Pre-Lock Security Services and we will be happy to answer any and all questions you may have with regard to security devices or procedures. Our exceptionally knowledgeable and courteous staff never tires of talking security and we would relish the chance to discuss any concerns that you may have with regard to your own security issues or product needs. Will The Legalization Of Marijuana Make You Safer? Crime, any crime, whether violent or not is threatening to the communities that are experiencing it. Even so called victimless crimes such as drug related crimes have a massive impact on those communities that are involved as the impact is almost always felt by the folks who live in those particular areas. Drug addiction fuels crime because the people who are addicted have to support their drug habits and the way the vast majority of them do that is by committing what are commonly referred to as “property” crimes. Break and enters of businesses and residential houses in addition to random “opportunity” thefts are in a high number of instances related to the need of drug addicts to generate some form of “income” in order to fuel their drug taking habits. There are many who feel that the legalization of marijuana will help to curtail those types of activities and have actually used that as plank in their platform to try and get the dreaded/glorious weed (depends on your perspective!) finally legalized. While the legalization of marijuana WILL help to curtail certain types of crimes most of those have nothing whatsoever to do with the abovementioned property crimes. Cutting out the “middleman” by legalizing pot will most certainly help to stem the involvement of organized crime in the growing and selling and even importation of marijuana, unfortunately the crimes committed by the drug addicted will not be affected in the way that some were led to believe. The primary reason for this is that marijuana is NOT habit forming in the same way the say opioids are. Opioids are the class of drug that include both Heroin and Opium and prescription drugs like Oxycontin and Fentanyl. These types of drugs and even cocaine to a much lesser degree are the true cause of the vast majority of property related crime as the nature of the addiction is such that when you are unable to “score” your drug because of lack of funds you WILL do just about anything to get the money required to feed that habit. 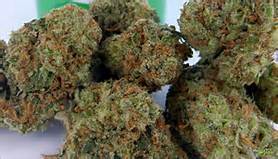 The main reason for that is that opioid drug addiction comes with a huge PHYSICAL component that marijuana use simply does not have. In essence, if you partake in the use of marijuana you cannot become physically dependent on it the same way you would with an opioid class of drug. You CAN however, become mentally dependent and feel like you NEED the drug but it will not manifest itself with the horrible physical withdrawal symptoms associated with Heroin and its cousins Oxycontin and Fentanyl. There are apparently many good things about the use of marijuana from a medical standpoint, but if anyone tries to sell you on the fact that legalization will reduce street crime tell them that that is simply NOT true. YOUR security is the #1 priority of the staff here at Pre-Lock Security Services. For any questions relating to security or security systems be sure to give us a shout, we would be happy to answer any and all questions you may have!